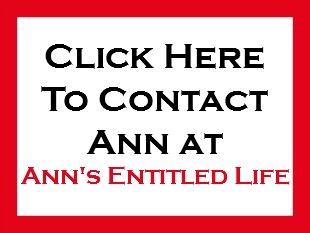 • In a large mixing bowl using a hand mixer or stand mixer, beat butter and sugar and until creamy. 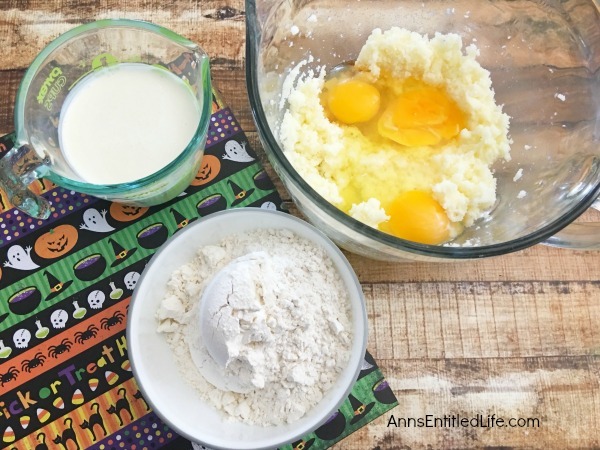 • Mix in vanilla and eggs quickly (do not over mix). 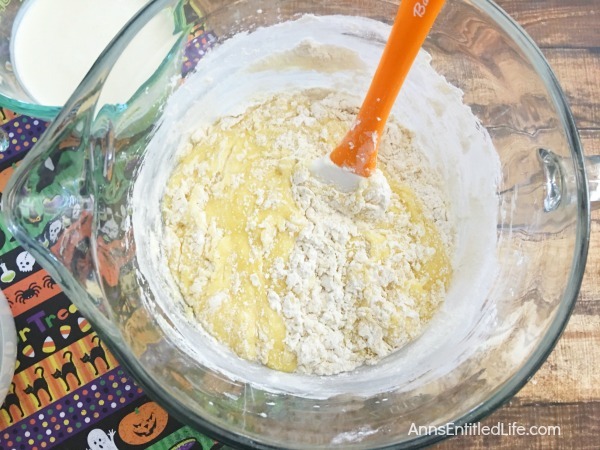 • Add flour, baking powder and salt; combine. • Pour in heavy whipping cream; mix. • Portion out ¼ of the batter; mix in yellow food coloring gel. 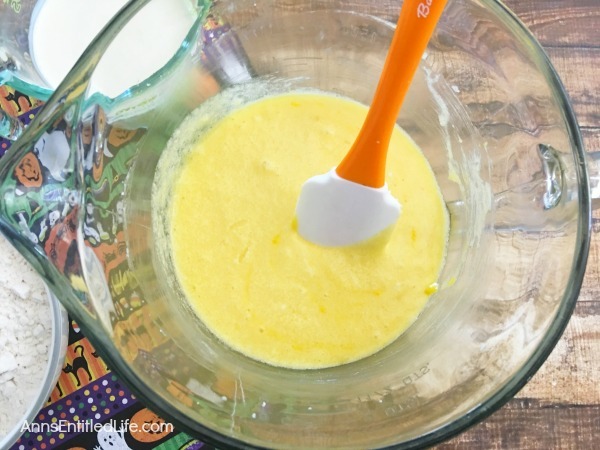 • Add orange food coloring gel to remaining batter still in mixing bowl; mix well. 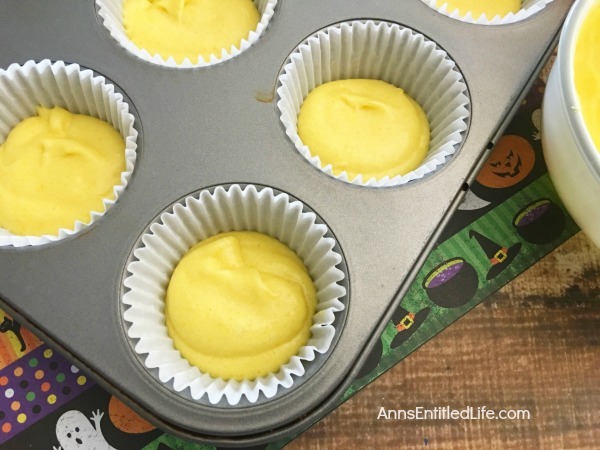 • Place two tablespoons of yellow cake batter in the bottom of each cupcake liner. 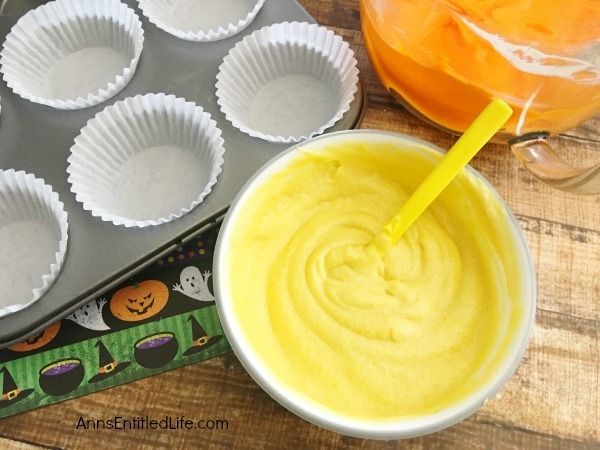 • Then, top yellow cupcake batter with orange cupcake batter. 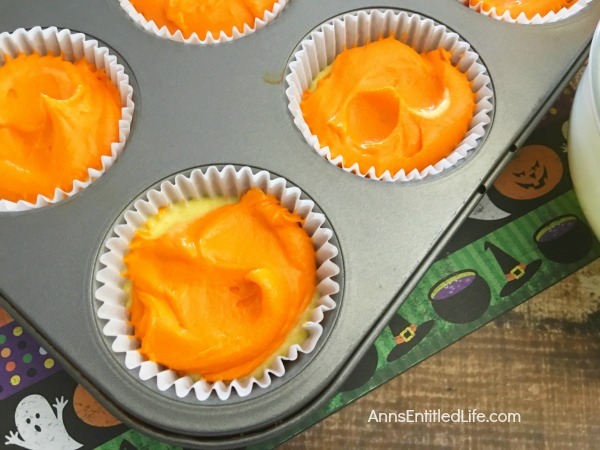 Fill cupcake liners to ¾ fill. • Bake in preheated 350° oven for 15-18 minutes. • Remove cupcakes from oven and allow to cool. 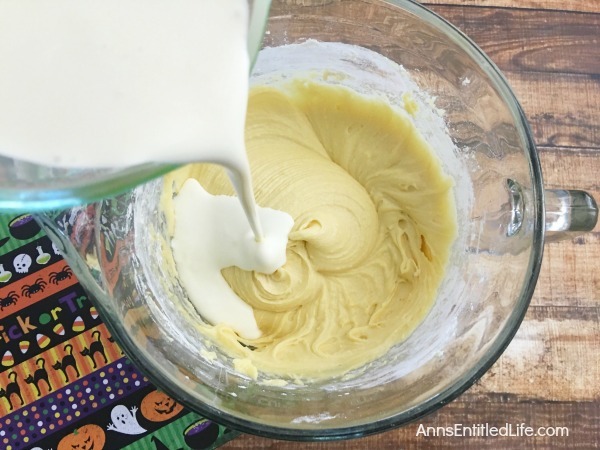 • Use a hand or stand mixer to whip the butter until creamy. • Mix in cream cheese and vanilla extract. 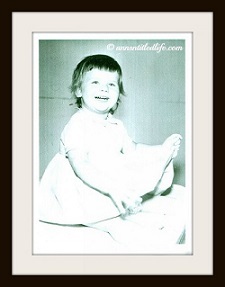 • Add one cup of powdered sugar at a time mixing each cup in throughly before adding the next cup of powdered sugar. 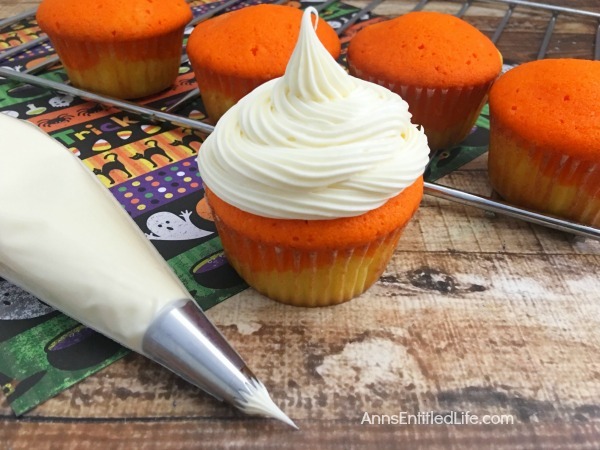 • Scoop frosting into a decorating bag with a large open star frosting tip. 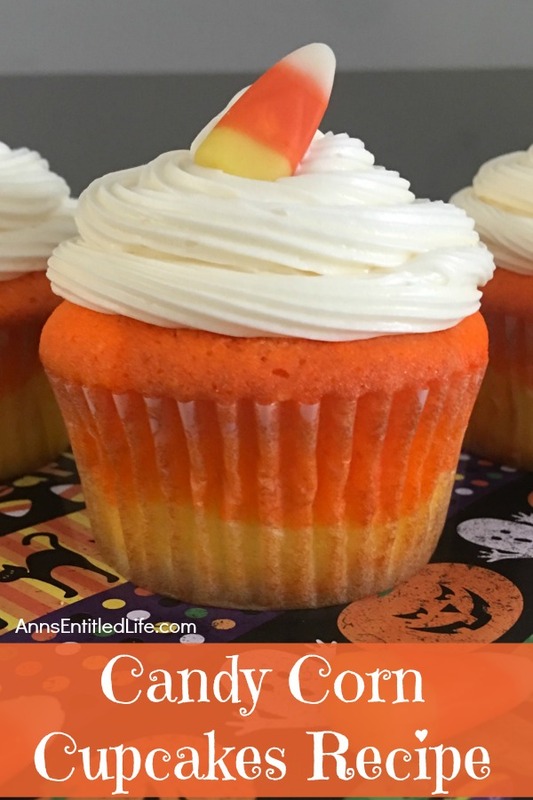 • Frost your cupcakes by twisting the top of your decorating bag and squeezing in the center. 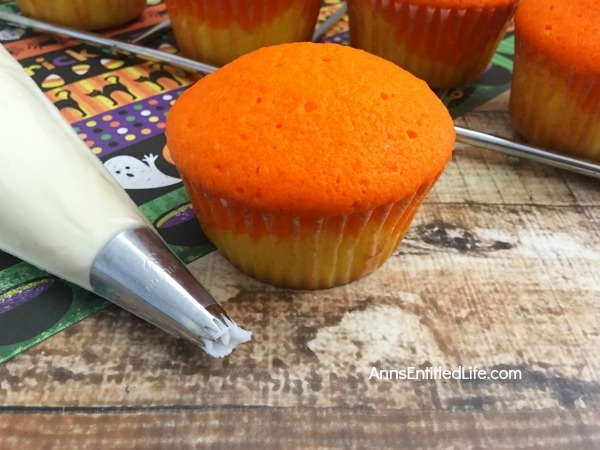 • Start by placing your tip at an angle in the center of your cupcake, squeeze, and work your way to the outside in a circular motion. 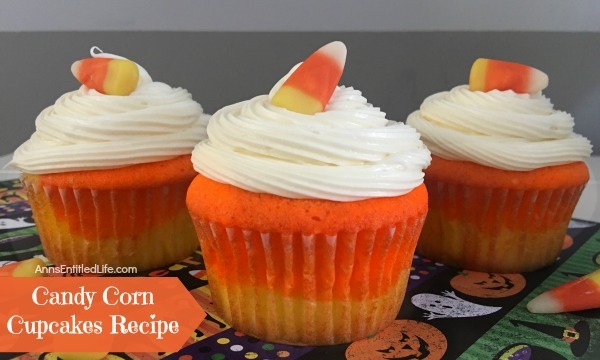 • To print the Candy Corn Cupcakes recipe, click here. These look delicious! 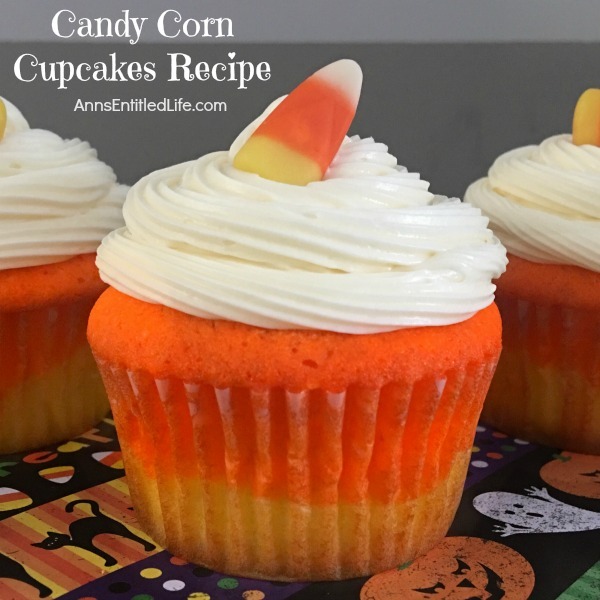 Candy Corn is definitely a favorite candy of mine for fall. Thanks for sharing. These cupcakes are so fun! Thanks for linkin’ up with What’s Cookin’ Wednesday! These cupcakes look so lovely. Thank you for sharing with us at #HomeMattersParty. 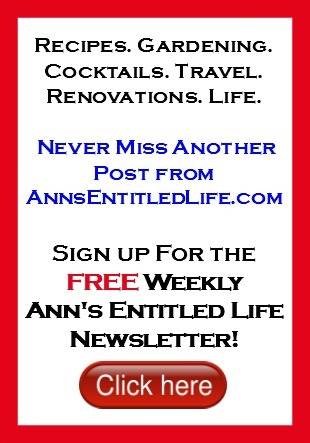 We would love to have you again next week. 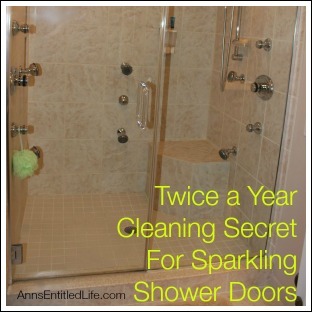 These are darling! 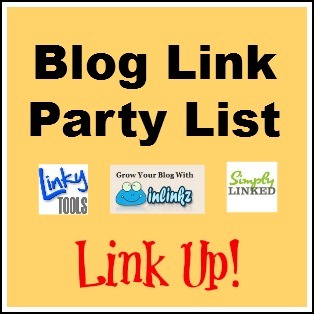 Love that you linked up with the Delicious Dishes Recipe party this week!